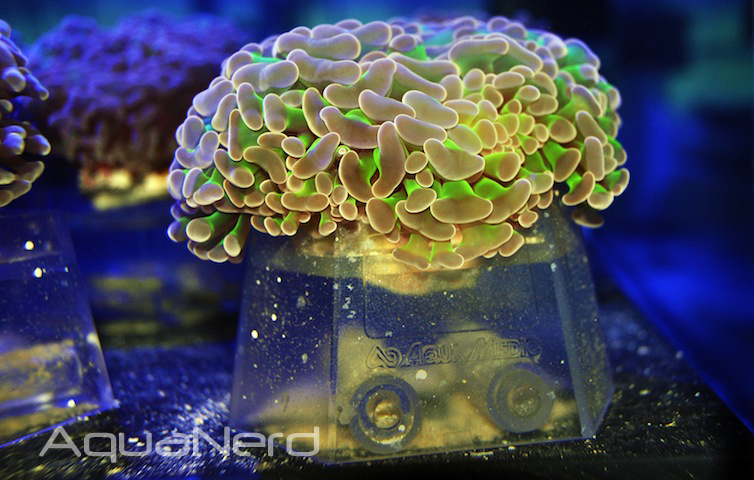 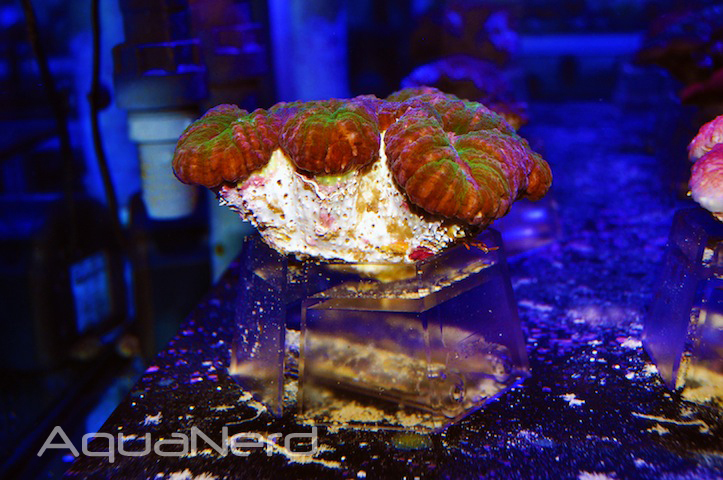 Late last week, we shared an article about the Aqua Medic Coral Holder, an ingenious device that keeps large LPS corals sitting upright for fish stores and frag happy hobbyists alike. 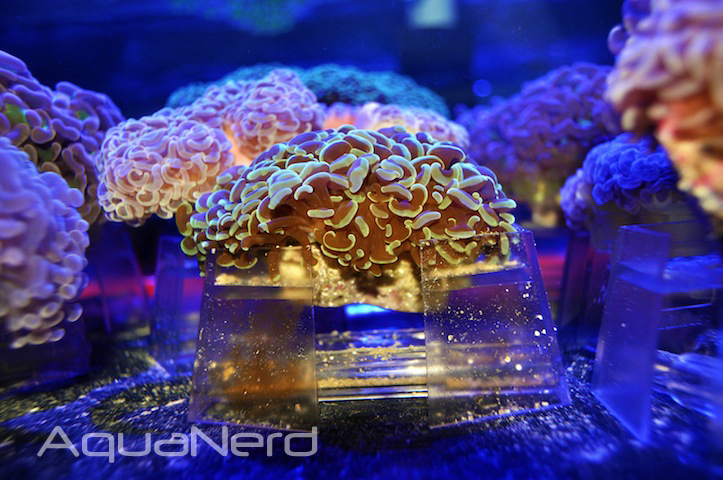 Unfortunately, our photos, which we took at MACNA, didn’t do the Coral Holder any justice. 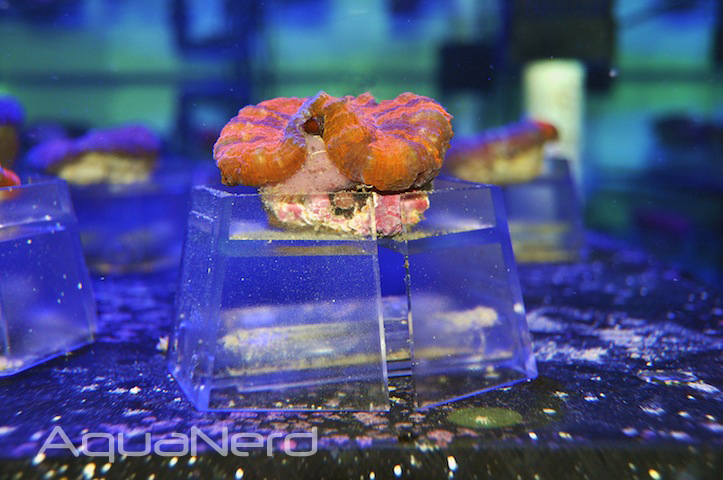 They showed the product accurately, but in a sterile trade show setting. 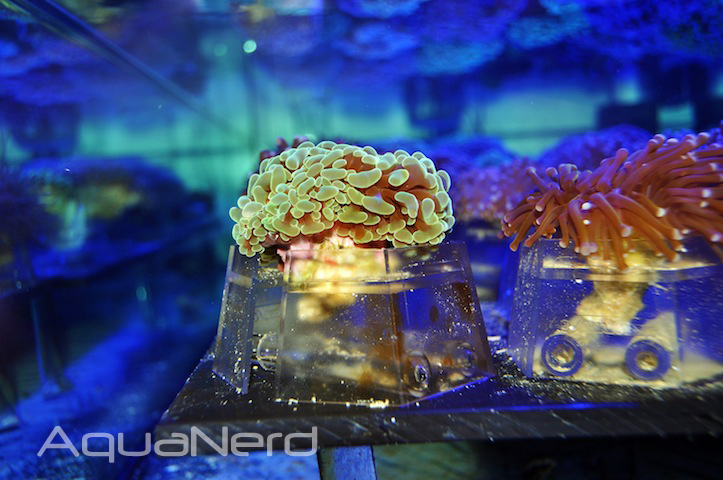 Thankfully, the guys at Aqua Medic sent us some photos of their holders in action. 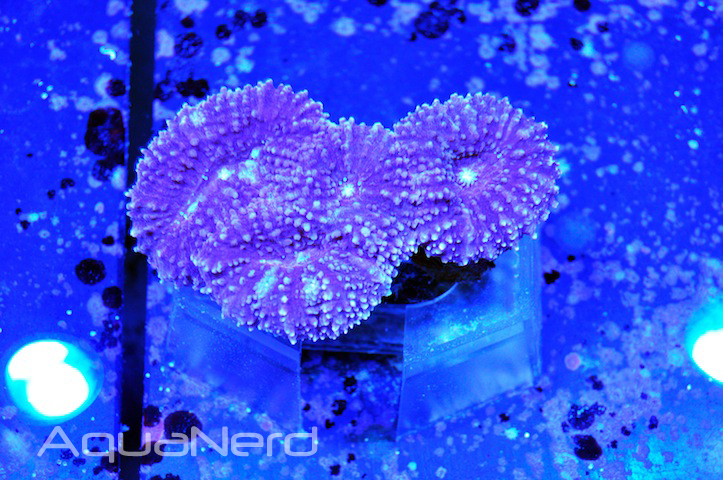 These relatively inexpensive coral holding devices function by placing a coral between two sliding halves of a plastic hexagon, with an oval shaped opening in the middle. 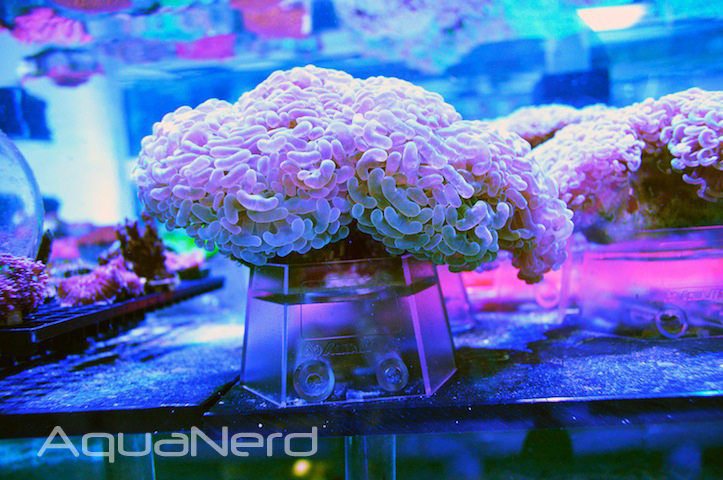 The two halves can be pulled apart several inches while still remaining in contact with each other, which allows for some big, beefy corals to be held upright. 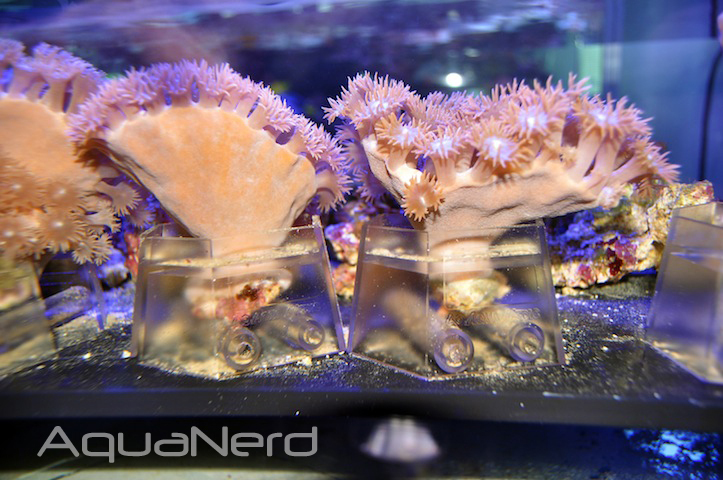 These Coral Holders are not exactly ideal for the hobbyist looking to keep up with the aesthetics of a reef aquarium, but serve a great function for aquarium stores or hobbyists who have a frag tank.